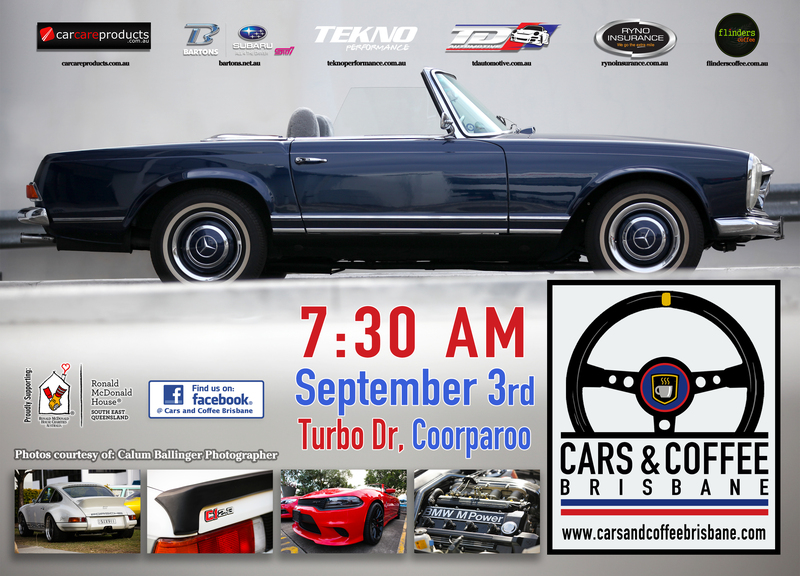 Saturday the 3rd of September marks our next Cars & Coffee Brisbane, It’s almost time to bring your exotic, rare, classic, vintage, race or historic vehicles to Turbo Drive in Coorparoo from 7:30am. As usual we’ll be there rain or shine. Thanks again to the following businesses for their ongoing support. – TD Automotive, Ryno Insurance Services Pty Ltd, Car Care Products, The Detailing Studio Bartons Bayside, Ronald McDonald House South East Queensland, Tekno Performance,Flinders Coffee and we welcome Groovy Bean.